Our apologies for intermittent posts. Posts will resume on the 24th of October. (AP) -- Commanders in Iraq have decided to begin the drawdown of U.S. forces in volatile Diyala province, marking a turning point in the U.S. military mission, The Associated Press has learned. Instead of replacing the 3rd Brigade of the 1st Cavalry Division, which is returning to its home base at Fort Hood, Texas, in December, soldiers from another brigade in Salahuddin province next door will expand into Diyala, thereby broadening its area of responsibility, several officials said Tuesday. In this way, the number of Army ground combat brigades in Iraq will fall from 20 to 19. This reflects President Bush's bid to begin reducing the American military force and shifting its role away from fighting the insurgency toward more support functions like training and advising Iraqi security forces. The December move, which has not yet been announced by the Pentagon, was described to the AP by Col. Stephen Twitty, commander of the 4th Brigade, 1st Cavalry, in a telephone interview Tuesday. It was confirmed by three other officials in Iraq, including Lt. Col. Michael Donnelly, chief spokesman for the commanding general of U.S. forces in northern Iraq, Maj. Gen. Benjamin Mixon. 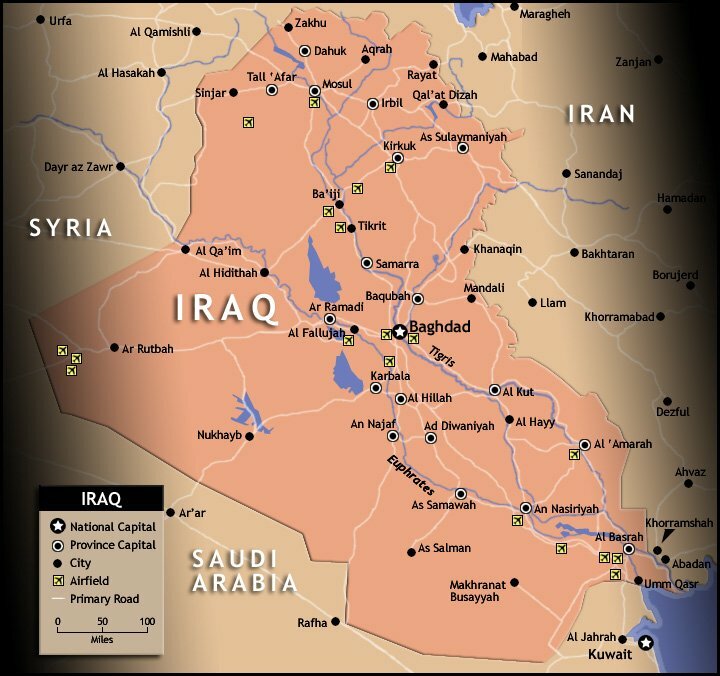 The idea is to avoid vacating a contested area, like Diyala, which is northeast of Baghdad, while beginning Bush's announced reduction of at least 21,500 troops, of which 17,000 were sent to the Baghdad area last spring. The shift in Diyala in December could be a model for follow-on reductions next year, with a redrawing of the U.S. lines of responsibility so that a departing brigade has its battle space consumed by a remaining brigade. At the same time, Iraqi security forces would assume greater responsibility. Diyala province is a battered landscape of warring tribes, fertile valleys and pockets of al-Qaida fighters. The sectarian and tribal chasms are wide. Commanders cited signs of substantial progress in the months since thousands of U.S. and Iraqi forces stormed the provincial capital of Baqouba in June. The unit leaving in December, the 3rd Brigade of the 1st Cavalry, has been in Iraq since October 2006. When it leaves, the 4th Stryker Brigade of the 2nd Infantry Division, now in Salahuddin province, will add Diyala to its area of responsibility.Donnelly said that even though the number of combat brigades in Iraq will drop by one with the departure of the 3rd Brigade of the 1st Cavalry, the total number of soldiers in northern Iraq will remain almost constant. That is because later in December a unit arriving from Fort Hood - the 3rd Armored Cavalry Regiment - has substantially more soldiers than the unit it will replace. (Al Jazeera) - The head of Kurdistan Workers Party (PKK) military operations in northern Iraq has told Al Jazeera that the group will confront Turkish forces if they are attacked. Murat Karayilan gave his statement a day before Turkey's parliament was to meet to decide whether to sanction military operations against PKK bases inside Iraq. "If Turkey is going to use violence against our movement, our leader and our people, then we will respond," Karayilan said on Tuesday. Iraq's government said on Wednesday that it will send a delegation to Turkey to show that it is committed to stopping PKK fighters operating in Iraq. Karayilan said Turkey was using the threat of military action against the PKK to put pressure on Iraqi Kurdistan. Ankara has been angered by a series of recent attacks by the PKK inside Turkey in which dozens of soldiers and civilians have been killed. He was speaking from his camp in the Qandil mountains straddling the Iraq-Turkey border. On Tuesday, Tareq al-Hashemi, Iraq's deputy president, arrived in Ankara for talks with Turkish leaders. Al-Hashemi appealed to Turkey for more time to tackle Kurdish separatist fighters rebels based in northern Iraq, Anatolia news agency reported on Wednesday. "Give us time to join forces with Turkey to tackle this problem, which harms the national security of both countries," Anatolia quoted Hashemi as saying. "If the Iraqi government fails to meet its responsibilities, Turkey will be justified in doing what is necessary to protect its security interests." James Bays, Al Jazeera's correspondent in Baghdad, said that whatever Baghdad says, the final decision rests with Kurdish political leaders as the embattled central Iraqi government has little authority in the Kurdish north of the country. Karayilan said PKK fighters were not crossing the border to carry out attacks on Turkish territory. "It is not true that we are crossing the border. We have fighters everywhere. It is not necessary to send them from here. "Their [Turkey's] aim is to attack Iraqi Kurds." The PKK leader in Iraq said Turkey was also hoping to put pressure on the US after a congressional panel said last week that mass killing of Armenians by Ottoman Turks during World War I was genocide - a charge Turkey denies. Turkey blames the PKK for the deaths of more than 30,000 people since the group launched its armed struggle for an ethnic homeland in southeast Turkey in 1984. (Reuters) - Shi'ite Islamist political parties are imposing strict Islamic rules in the oil-producing southern provinces of Iraq and using their armed wings to create a state of fear, a group of tribal Shi'ite leaders said. The four tribal leaders approached Reuters on condition of anonymity, fearing assassination if their names or even their home provinces were made public. "Fear rules the streets now," said one of the sheikhs. "We cannot speak our minds, people are not allowed to oppose them. They would immediately disappear or get killed. The evidence of that is I am talking about it but cannot use my name." The fear is not unfounded -- two provincial governors and a police chief were blown up by roadside bombs in August, apparent victims of infighting between the Shi'ite parties for political dominance in the region, source of most of Iraq's oil wealth. Aides to Grand Ayatollah Ali al-Sistani, the reclusive religious leader of Iraq's Shi'ites, have also been killed. The sheikhs said the conservative religious attitudes meant only religious music was now allowed to be played in public places and dancing was forbidden, as was drinking alcohol. Women were also harassed for wearing clothing deemed inappropriate. Photographs of secular political leaders like former interim Prime Minister Iyad Allawi could not be displayed in shops and other public areas. Street committees that were set up to protect neighbourhoods from al Qaeda attacks were being misused to spy on residents and report infractions to the militias and the police, they said. "The people of the south are religious, we are believers, but at the same time we like to live our lives and we like freedom," said one sheikh. The Supreme Iraqi Islamic Council (SIIC) and the movement of cleric Moqtada al-Sadr are the dominant political forces in the Shi'ite provinces. Both have links to neighbouring Iran and believe Iraq should be governed according to Islamic principles. SIIC controls most of the governors in the south, and its armed wing, the Badr Organisation, has many members in the police force. Sadr's powerful Mehdi Army militia has fought fierce battles with police loyal to the Badr Organisation. SIIC and the Sadrists saw their rise to power cemented by the December 2005 elections which brought the Islamist Shi'ite Alliance to power. The Sadrists have since pulled out of the Alliance and the government of Prime Minister Nuri al-Maliki, leader of the smaller Islamist Dawa party. The growing strength of the parties in the south has weakened some secular tribal leaders and excluded them from power structures, a source of patronage and revenues. "Some say the Shi'ites are lucky because they are now ruling Iraq, but that is wrong. It is the Islamist Shi'ites who are ruling Iraq. Their victory was a curse for us," said one sheikh. The sheikhs blamed Washington for giving Shi'ite Islamists a free hand in the south. U.S. forces are concentrated to the north, focused mainly on Sunni Islamist al Qaeda and other Sunni Arab militants and so-called rogue Mehdi Army groups. Washington has thrown its weight behind Baghdad's Islamist- led government despite misgivings about its failure to push ahead with national reconciliation and the close ties between some parties and Iran, the United States' long-time foe. SIIC and the Sadrists are seen by the sheikhs as importing a conservative brand of Shi'ism from neighbouring Iran, which U.S. officials accuse of arming Shi'ite militias to use as proxies to enforce their influence in the south. "We are suffering from two occupations -- America and Iran. We have told American officials this and we have met some of them, but they are not listening to us," one sheikh complained. Some tribes were talking about taking up arms against the Islamist parties, but the tribal leaders said they feared this would unleash a bloodbath that would destabilise the south. "The tribes do not want violence ... but at the same time we want to see a change that preserves the rights of all Iraqis, so that we are really free," said one sheikh. (Reuters) - Turkey will defy international pressure on Wednesday and grant its troops permission to enter northern Iraq to crush Kurdish separatist rebels based there. Turkey's prime minister has sought to play down expectations of an imminent attack, but the parliamentary vote will effectively give the army a free hand to act as and when it sees fit. Washington, Ankara's NATO ally, says it understands Turkey's desire to tackle rebels of the outlawed Kurdistan Workers Party (PKK), but fears a major incursion would wreck stability in the most peaceful part of Iraq and potentially in the wider region. Turkey's stance has helped drive global oil prices to $88 a barrel, a new record, and has hit its lira currency as investors weigh the economic risks of any major military operation. Parliamentary approval would create the legal basis for military action. By law, Turkey's parliament must approve the deployment of Turkish troops abroad. Parliament is expected to approve the request from Prime Minister Tayyip Erdogan's cabinet by a large majority after an open debate, starting at 1200 GMT. "Passage of this motion does not mean an immediate incursion will follow, but we will act at the right time and under the right conditions," Erdogan told his ruling AK Party on Tuesday. "This is about self-defense," he said in televised remarks. Iraqi Vice-President Tareq al-Hashemi lobbied Erdogan and President Abdullah Gul in Ankara on Tuesday to refrain from military action and to seek a diplomatic solution. Erdogan is under public pressure to hit PKK camps in northern Iraq after a series of deadly rebel attacks on Turkish troops. Markets are closely following the incursion debate. Turkish opposition parties strongly back the plan for military action, with only the small pro-Kurdish Democratic Society Party (DTP) expressing concern about the implications. Ankara blames the PKK, considered a terrorist organization by the United States and the European Union, for the deaths of more than 30,000 people since the group launched its armed struggle for an ethnic homeland in southeast Turkey in 1984. Turkey conducted large military operations in northern Iraq against the PKK in the 1990s but failed to wipe out the rebels. Some analysts say that despite its tough rhetoric Turkey may limit itself to aerial bombardment of rebel targets and small forays across the border while avoiding a major incursion. (Gulf News) - An Iraqi Kurdish minister has rejected Turkey's demands to send Iraqi troops from Baghdad to the north of the country over rebel activities. Amid increasing tension between Ankara and Baghdad over Kurdish rebel activities, Mohammad Ehsan told Gulf News: "The government of Kurdistan firmly opposes sending Iraqi forces from Baghdad to borders with Turkey as the Turkish government wants." Ankara accuses Kurd held northern province of Iraq of offering refuge to Turkish Kurd rebels. "This is an internal issue and concerning the sovereignty of Iraq, and only the Iraqi government and its Kurdish regional counterpart will handle it," he added. Sources in the Iraqi army told Gulf News that recent meeting between Iraqi Defence Minister Abdul Qader Mohammad Jasem and the Turkish ambassador in Baghdad focused on the Turkish government's request of sending Iraqi troops to the border to take the place of Kurdish Peshmerga elements which are accused by Ankara of sympathising with Kurdistan Workers Party (PKK) elements. Mohammad Ehsan said the government in Arbil supports talks between Turkey and the PKK leadership. PKK is listed as a terrorist group. "Dialogue is the right way to solve the PKK problem and not by using excessive military power," the Kurdish minister said. The minister said that Ankara had informed the United States and the Iraqi government that it would not entertain any representatives of Kurdistan government to attend the Turkish-Iraqi talks. The talks are aimed at resolving the military escalation along common borders between the two countries. "Arbil is more than excited to talk directly with Turkey to find a vital solution to the PKK crisis," the minister said. "I believe the goal of Turkish government is to escalate the situation on the Iraqi border under the pretext of eliminating the hostile activities by PKK elements," Aaron Kamiran, an Iraqi political analyst, told Gulf News. "The goal is political because launching a Turkish military operation in the region would not achieve any results because of the difficult and mountainous terrain. Hence the Turks want to send Iraqi and non-Kurdish troops to the border and they will raise problems between Arbil and Baghdad, especially with Arbil's insistence on rejecting the Turkish proposal." He added: "What is important for Turks is to make sure that Iraq Kurdistan region will not be an independent entity or a confederate state in the future. Besides the non-Kurdish forces in the region may pose a guarantee for Turkey in this region, especially since normalisation situations in Kirkuk is implemented hastily". (Al Jazeera) - The Muqtada al-Sadr bloc has rejected a suggestion made by another Iraqi Shia politician that the country should be split into regions based on sect and ethnicity. Ammar Hakim, son of Abdul Aziz al-Hakim, the leader of the Supreme Islamic Iraqi Council (SIIC), said that dividing the country is "an Iraqi interest, wish and decision". Responding to his comments, Sadr's spokesman in Najaf said on Sunday that his group’s opposition to federalism "is firm and has not been changed". Sheikh Saleh al-Obeidi, Sadr's spokesman, said: "After the US Congress voted to divide Iraq, it is clear that insisting on applying federalism in the current tragic Iraqi situation is a flirtation with the [non-binding] US Congress resolution [calling for a transfer of power to three self-governing regions - or Shiites, Sunnis and Kurds]. "The SIIC is one of the largest parties in the Iraqi parliament and a key supporter of Nuri al-Maliki, the prime minister. On October 6, Sadr and al-Hakim agreed their respective militias stop attacking each other. 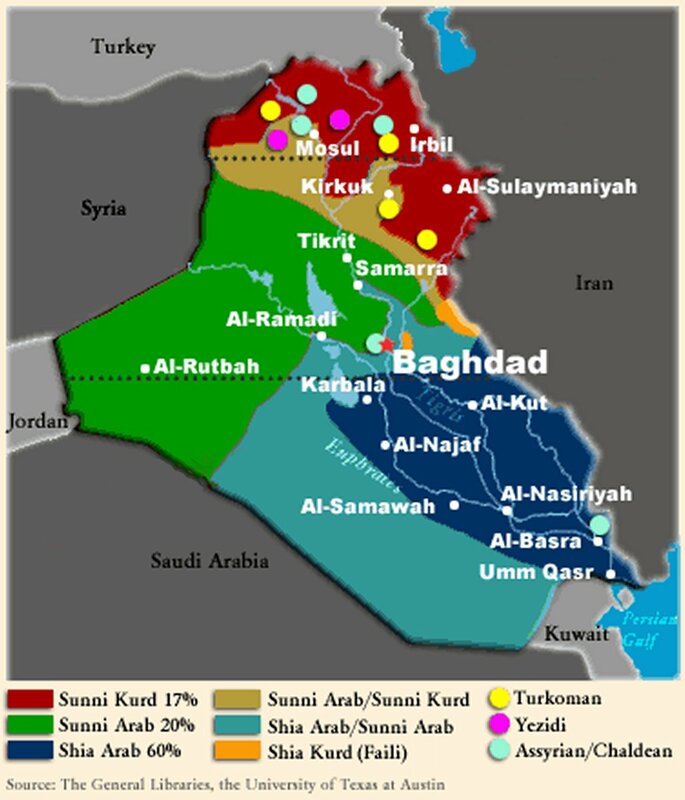 Meanwhile, political differences still remain and al-Hakim has argued in the past for uniting the nine Shia-majority provinces in southern Iraq. The US Congress resolution, sponsored by Senator Joseph Biden, was dismissed by Maliki, who called it an infringement on Iraqi sovereignty even though it was backed by the government in the northern Kurdish region. However, the principle of federalism is included in the Iraqi constitution. 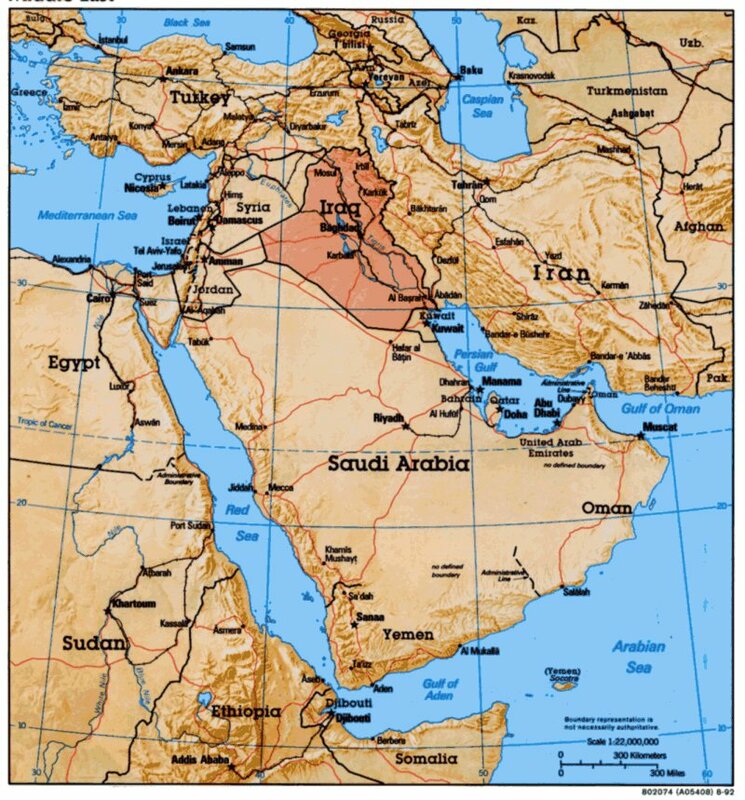 But Sunni Arabs, who form an estimated 20 per cent of the population and are largely located in central, resource-poor parts of the country, are also against federalism, fearing it would deprive them of oil wealth. (Al Jazeera) - Turkish government has agreed to ask parliament to approve sending troops into northern Iraq in pursuit of Kurdish separatist fighters. The motion, which is expected to be approved by MPs on Wednesday, would provide the legal basis for cross-border military action against the Kurdistan Workers' Party (PKK) during the next year. "Our wish is that we will not have to use this motion ... but the most painful reality of our country, our region, is the reality of terror," Cemil Cicek, government spokesman, said after a cabinet meeting on Monday. He stressed that Turkey's sole target, if its troops entered northern Iraq, would be the estimated 3,000 PKK fighters believed to be in the region. The government of Recep Tayyip Erdogan, the prime minister, twice acquired similar authorisations from parliament in 2003, but did not act on them. In response, Baghdad urged Turkey to be "patient" and not to resort to military action. "The Iraqi government calls on the Turkish government to pursue a diplomatic solution and not a military solution to solve the [problem] of terrorist attacks which our dear neighbour Turkey has witnessed from the PKK," Ali al-Dabbagh, Iraqi government spokesman, said. Ahead of the cabinet's decision, a senior Turkish general said that it was too early to discuss the timing or size of a possible incursion. "If this duty is assigned to us, we will look at the scale on which it will be carried out. It is not possible to say this right now," General Ergin Saygun, deputy chief of the general staff, said. Ankara says the PKK uses bases in northern Iraq to launch attacks inside Turkey, the latest of which killed 15 soldiers last week. Saygun dismissed suggestions that Nato's second-biggest army had only a limited window of opportunity to attack before winter conditions made such a move impossible. "The season would be taken into consideration, and other needs as well .... But we cannot say that we'll go to Iraq if it doesn't snow or we won't go if it does," he said. Duran Kalkan, a senior commander in the PKK, said that the Turkish military would suffer a serious blow if it launched such an offensive. According to the pro-Kurdish Firat news agency, he said that Turkey would "be bogged down in a quagmire" in northern Iraq. Al Jazeera's Hoda Abdel Hamid in northern Iraq said on Monday that the situation along the border was quite calm. "There was a night of intense shelling along the border on Saturday but for the last 24 hours it has been calm," she said. "We all have an interest in a stable Iraq and a desire to see the PKK brought to justice" Gordon Johndroe, White House spokesman"We have been travelling backwards and forwards along the border and we have seen some minimal troops movements on the other side. "US officials said last week that there are about 60,000 Turkish troops along the country's southern border with Iraq, but the US military has not seen activity to suggest an imminent offensive. However, Erdogan had already said that international pressure would not deter Ankara. "The cost has already been calculated," he said. Ankara has also long complained that Washington has not done enough on its own or through the Iraqi government to crack down on the Kurdish separatists. The PKK, which is labelled as a terrorist group by Turkey, the United States and the European Union, began an independence struggle in Turkey in 1984 that has left more than 37,000 people dead. Turkey and Iraq last month signed an accord pledging to combat the group, but failed to agree on a clause allowing Turkish troops to carry out "hot pursuit" operations against rebels fleeing into Iraqi territory, as they did regularly in the 1990s. (The Guardian) - Oil prices burst through $86 a barrel to reach new highs yesterday on the back of growing energy demand forecasts and fears that escalating conflict between Turkey and Kurds in northern Iraq could hit supplies in the Mediterranean. Crude ended at a record level on Friday but has since gone on to hit even greater peaks of $86.13 as the Organisation of Petroleum Exporting Countries (Opec) said demand for its products would average 31.43m barrels a day in the fourth quarter of 2007, up 100,000 barrels a day on previous estimates. "It now appears more likely that the US economy could weather the financial crisis without a sharp downturn in economic activity," said a report by Opec economists at the group's Vienna headquarters. Soaring oil prices helped push gold to a 28-year high yesterday as investors were attracted to precious metals because of global uncertainty and the falling dollar. Platinum also swept to record highs on concerns about supply as demand remains strong. Expectations of higher oil demand have also fed into Opec's first quarter estimates with the organisation predicting there would be 120,000 more barrels needed a day than had been anticipated. The new forecasts come amid rising fears that Turkey will take unilateral action against Kurdish rebels in northern Iraq. "The main risk to supplies is currently on an escalation of the Turkish army, Kurdish militia conflict, where we believe the risk for disruptions to the Mediterranean supplies would be real," said Olivier Jakob of Petromix in Switzerland. The market is already jumpy because last week the International Energy Agency, adviser to 26 industrialised nations such as Britain and the US, predicted that demand would surge by 2.1m barrels a day during 2008. Opec insists "the current supply and demand forecasts predict that the market will be fundamentally balanced over the coming quarters". US and Iraqi officials are negotiating Baghdad's demand that security company Blackwater USA be expelled from the country within six months, and American diplomats appear to be working on how to fill the security gap if the company is phased out. 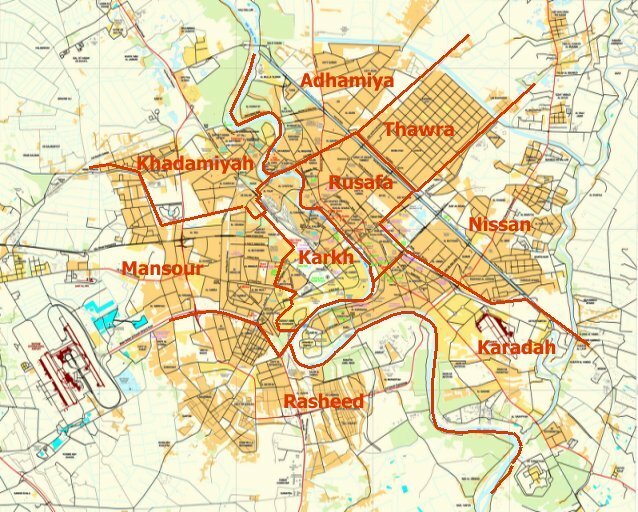 The talks about Blackwater's future in Iraq flow from recommendations in an Iraqi government report on the incident Sept. 16 when, Iraqi officials determined, Blackwater guards opened fire without provocation in Baghdad's Nisoor Square and killed 17 Iraqi citizens. The Iraqi investigators issued five recommendations to the government of Prime Minister Nouri Al Maliki, which has since sent them to the US Embassy as demands for action. Point No. 2 in the report says: "The Iraqi government should demand that the United States stops using the services of Blackwater in Iraq within six months and replace it with a new, more disciplined organization that would be answerable to Iraqi laws." Sami Al Askari, a top aide to Al Maliki, said that point in the Iraqi list of demands was nonnegotiable. "I believe the government has been clear. There have been attacks on the lives of Iraqi citizens on the part of that company (Blackwater). It must be expelled. The governmenthas given six months for its expulsion and it's left to the US Embassy to determine with Blackwater when to terminate the contract. The American administration must find another company," he told AP. In talks between American diplomats and the Al Maliki government, Al Askari said, the US side was not "insisting on Blackwater staying." He was the only Iraqi or American official who would allow use of his name, others said information they gave was too sensitive. In an interview to be broadcast Monday on PBS, television presenter Charlie Rose asked Blackwater chief Erik Prince about the issue. "We'll do what we're told and, you know, make the transition as smooth as possible," Prince said. (Gulf News) - In a major reconciliatory gesture, a leader from Iraq's largest Shiite party has paid a rare visit to the Sunni Anbar province, delivering a message of unity to tribal shaikhs who have staged a US-backed revolt against Al Qaida militants. The leader of parliament's largest Sunni Arab bloc, Adnan Al Dulaimi, welcomed Ammar Al Hakim's visit to Anbar on Sunday as a "good initiative", saying Shiite-Sunni reconciliation was a goal cherished by his once-dominant Sunni Arab minority. "This is what we hope, and we pray to Allah for," Al Dulaimi, whose three-party alliance has 44 of parliament's 275 seats, said yesterday. "We pray to God to make our Shiite brothers ... give us our due rights and not monopolise power." Al Hakim's visit to Anbar was the latest sign that key Iraqi politicians may be working toward reconciliation independently of Prime Minister Nouri Al Maliki's government, which has faced criticism for doing little to bring together Iraq's Shiites, Kurds and Sunnis. Sunni Arab Vice-President Tariq Al Hashemi visited Grand Ayatollah Ali Al Sistani, Iraq's top Shiite cleric, last month at Najaf south of Baghdad. The visit amounted to an unprecedented Sunni Arab endorsement of Al Sistani's role as the nation's guardian. Al Hashemi's Iraqi Islamic Party also has been distancing itself from militant Sunni Arab groups and has in recent months forged closer ties with Al Hakim's Supreme Islamic Iraqi Council, the country's largest Shiite party, and the two major Kurdish parties. Al Hakim, son and heir apparent of Iraq's top Shiite politician, struck a note of national unity in Anbar. "Iraq does not belong to the Sunnis or the Shiites alone; nor does it belong to the Arabs or the Kurds and Turkomen," Al Hakim told his hosts in the provincial capital Ramadi, about 115km west of Baghdad. "Today, we must stand up and declare that Iraq is for all Iraqis." He stood next to the leader of the Anbar movement, Ahmad Abu Risha.